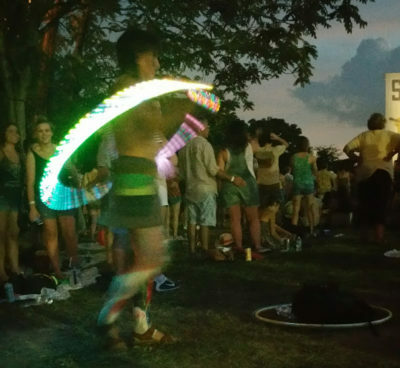 Top 10 Sloss Fest Tips for Birmingham's Biggest Music Festival! Know before you go! 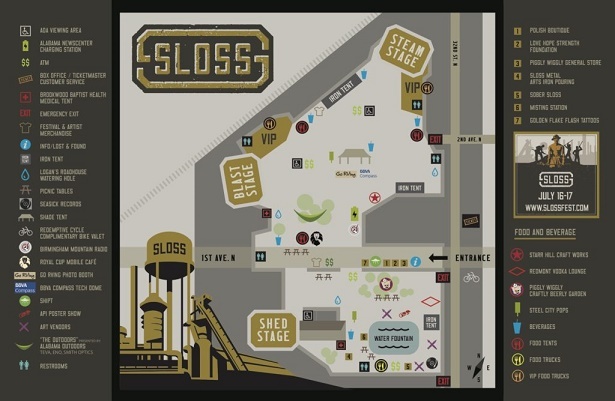 Maximize your Sloss Fest experience! 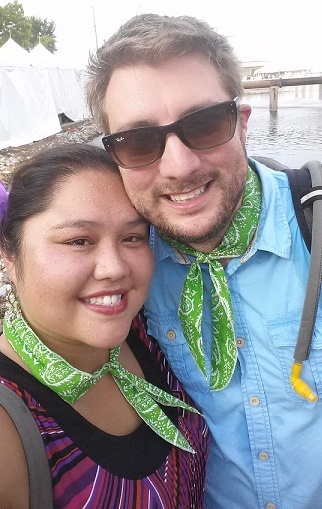 We've attended many music festivals including Sloss Fest 2015. 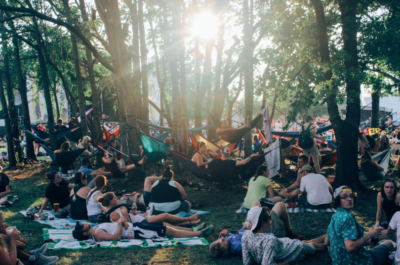 We had a blast last year and thought it'd be a great idea to provide 10 "Pro Tips" to help you get the most out of the festival experience. Here's a short, but important list of things we've learned over the years. Bring a large water bottle or a back pack such as a Camelbak. Water bottles that can clip to you are VERY convenient and will keep both hands free! There will be 3 watering stations inside Sloss Fest to fill up. Don't substitute alcohol for water, it is dehydrating. What we mean is, don't JUST drink alcohol. Be safe! Bring a lightweight blanket to rest your legs. Last year there was a “blanket island,” if you will, near the Alabama Outdoors hammocks. It was great! We weren't in the way of the standing crowds for the bands, but remained close enough to see the “Blast Stage.” Note: Sloss prohibits chairs more than 1inch off the ground. There will be charging stations at Sloss, but if you're front row waiting on Ray LaMontange, it's nice to have a recharger on hand so that you don't miss out on the perfect pic. Pro tip 1: Put your phone on airplane mode when not messaging to save on battery life. You can still take pics. Pro tip 2: Write down your crew's cell phone numbers before the festival. If your phone dies and you need to contact them, do you actually have their phone numbers memorized? There will be free wi-fi onsite but with thousands of people trying to connect, this tip is a lifesaver. Example message: “Hey, we're about to meet up at the Beer Garden. Meet us there? (2:56pm)” This will cut down on confusion if your message get delayed, or if the person you are contacting has their phone off or in airplane mode. 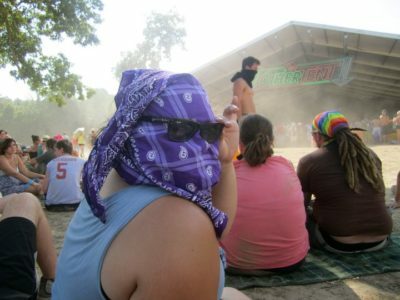 Bandanas have so many uses. They can block your head from the sun, they can protect your eyes and mouth from dirt, they can keep your hair back, they can be used to sop up sweat, or they can be used as a colorful accessory. They are tiny and we are sure you'll find a reason to use it! Oh, and for obvious reasons – sunglasses. We were so grateful for these wraps. We bought them from someone at Woodlawn Street Market last year and they helped us stay sane at Sloss Fest. You set them in cold water and they stay cold for hours. For the 30 min random summer storms, you might consider bringing in some disposable ponchos. They sell them at the Dollar Tree and work perfectly. We do expect rain on Saturday and Sunday of the festival. Note: Sloss Fest prohibits umbrellas. This saved us a ton of TIME and MONEY last year! The beautiful people at Redemptive Cycles valeted our bikes for free! I'm so excited that they are providing that service again! Whether you plan your music listening schedule to a T or are just winging it, be prepared for a great time. We had such a great experience last year and the good vibes were contagious! Keep an open mind, stay positive, and above all else, have fun! BONUS TIP! : Alabama Outdoors will be onsite with gear available for purchase, so no need to panic if you forget to bring something. The item you need will probably be available at their tent inside the festival!